North Carolina- Tracking is allowed during the season in the portion of the state were it is legal to use dogs for hunting deer. 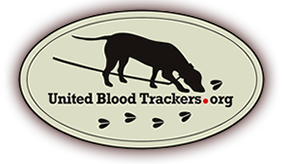 You can not use a tracking dog during bow season or muzzle loader season. The dog does not have to be on a leash and you are allowed to track at night. There is nothing in the law/regulations about carrying or not carrying a weapon during night tracking. The handler must have the proper hunting license for the game being pursued.